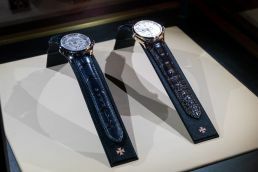 Vacheron Constantin has launched the Fiftysix collection of men’s watches at Restaurant Hubert. 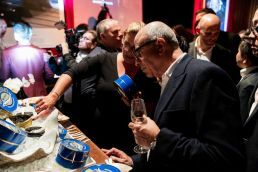 Guests arrived in the main theatre and were served Krug champagne and enjoyed a luxurious caviar bar. There was also a special performance by jazz band – The Pocket Trio. 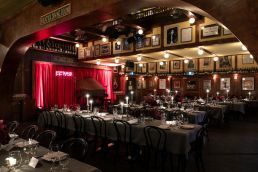 Guests then made their way to the dining room which was styled by Steve Cordony. 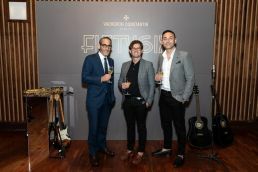 Installations of the Fiftysix men’s collection were styled through the venue – so guests could view the timepieces throughout the night. A highlight to the evening was a surprise solo performance by Megan Washington who sang to a completely captivated audience. Guests included: Influential men in design, architecture, tailoring and photography – including Felix (and Edwina Forest,) Henry Wilson, Steve Cordony, Tom Fereday, Kelvin Ho, Megan Washington, Ellie Aitken, plus Vacheron Constantin VIP customers.